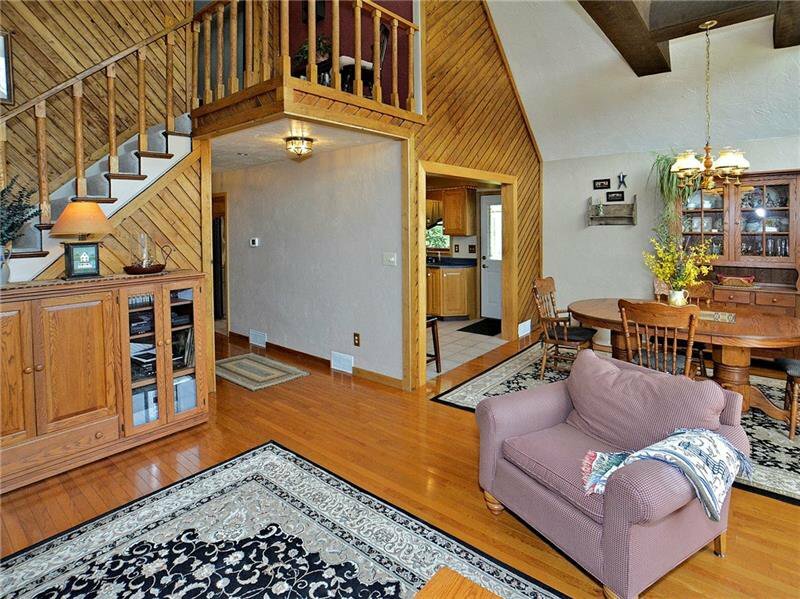 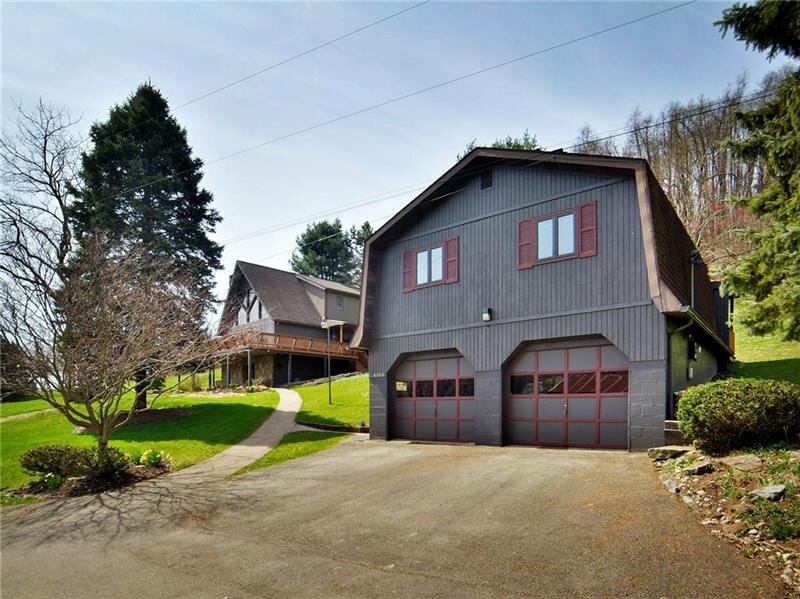 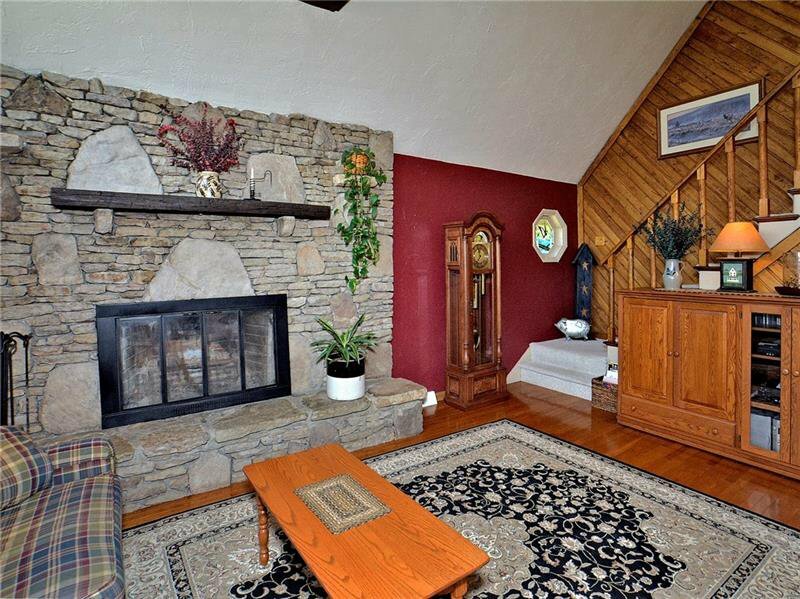 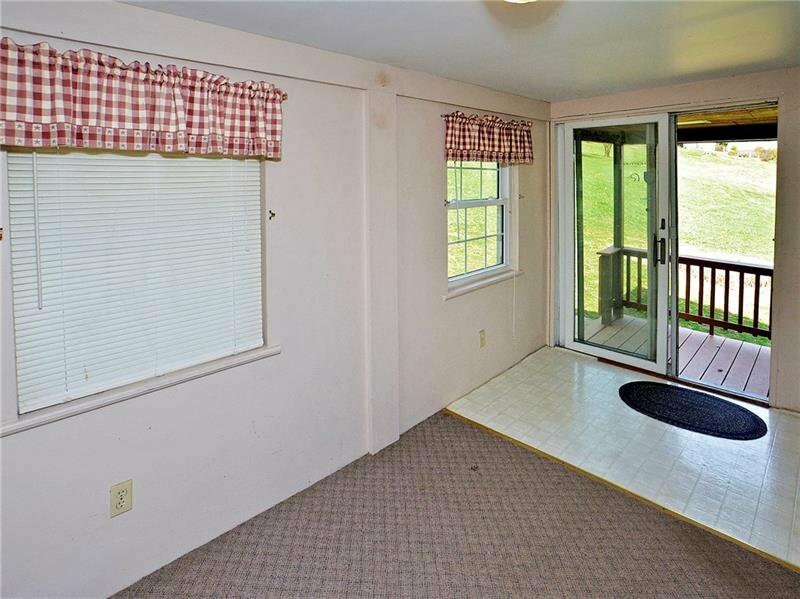 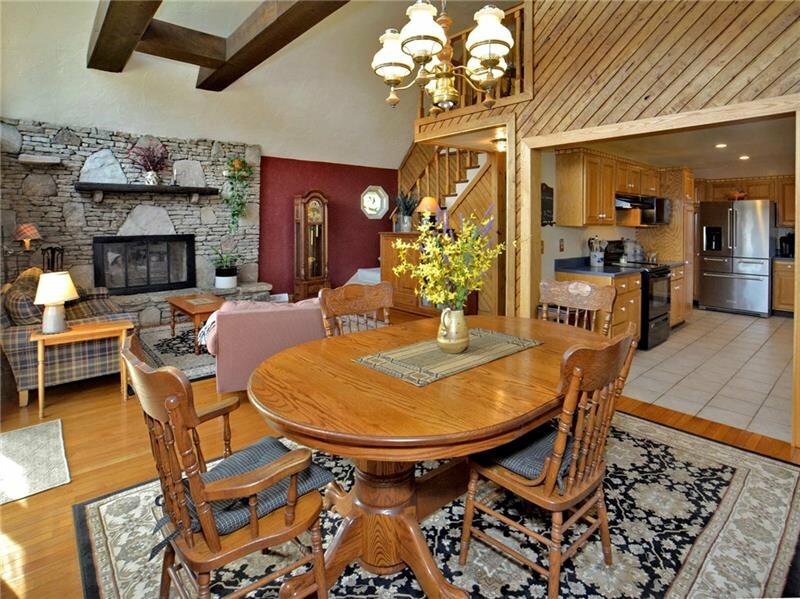 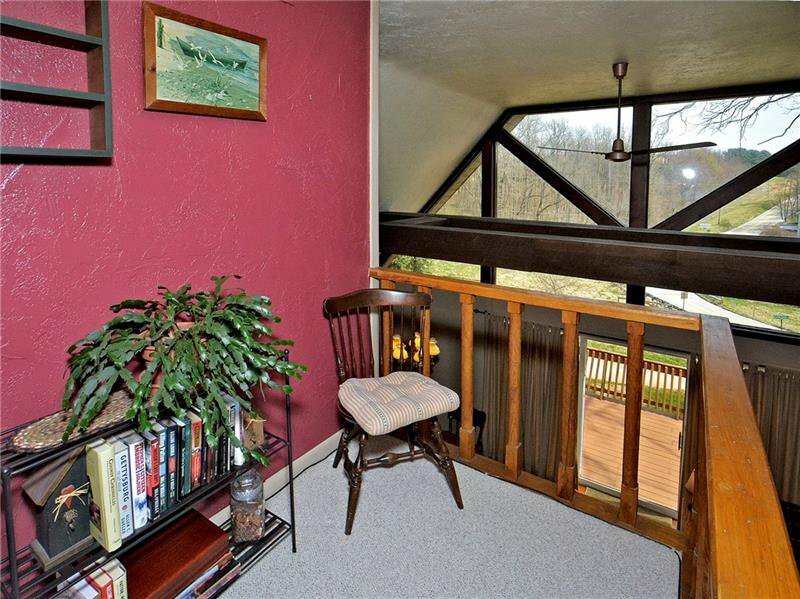 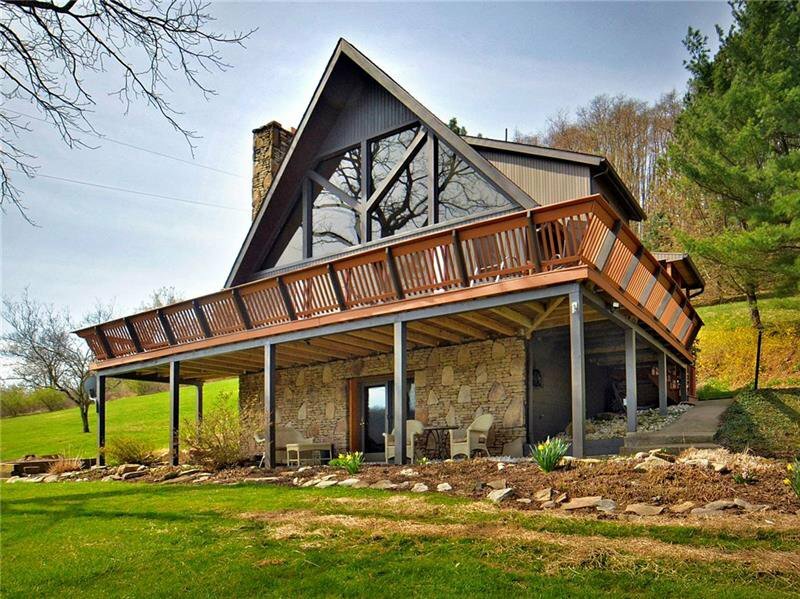 NO NEED TO DRIVE TO THE LAUREL HIGHLANDS, RELAX AT HOME AND ENJOY THE VIEWS FROM YOUR OWN CHALET ON ALMOST 4 ACRES IN PT. 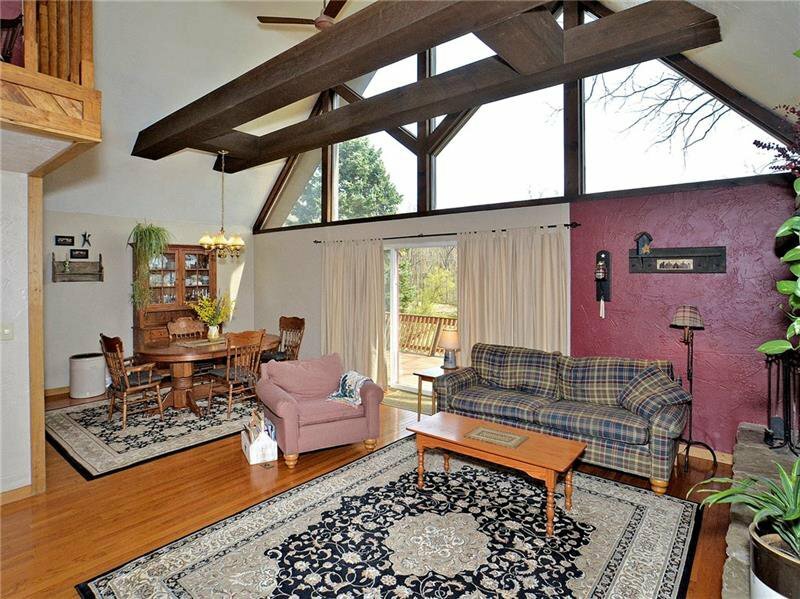 THIS UNIQUE HOME OFFERS SOARING CEILINGS AND IS FLOODED WITH NATURAL LIGHT FROM FLOOR TO CEILING WINDOWS. 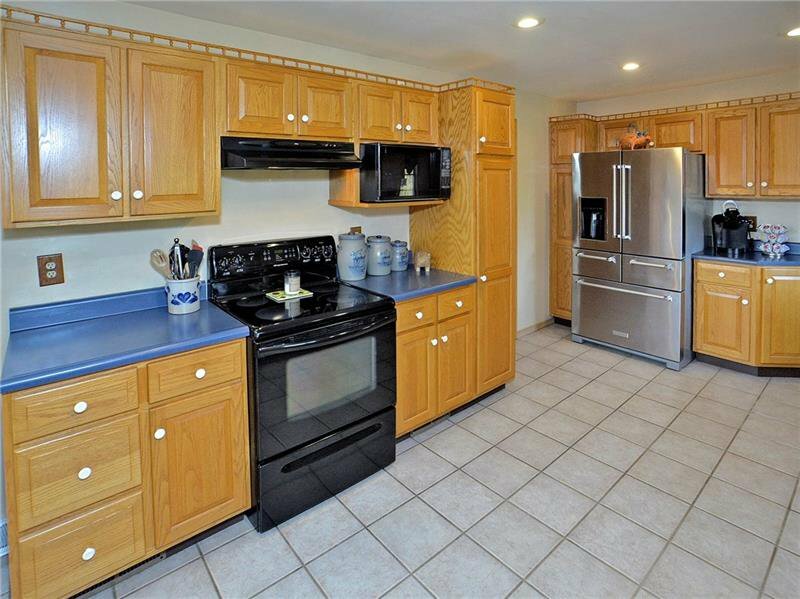 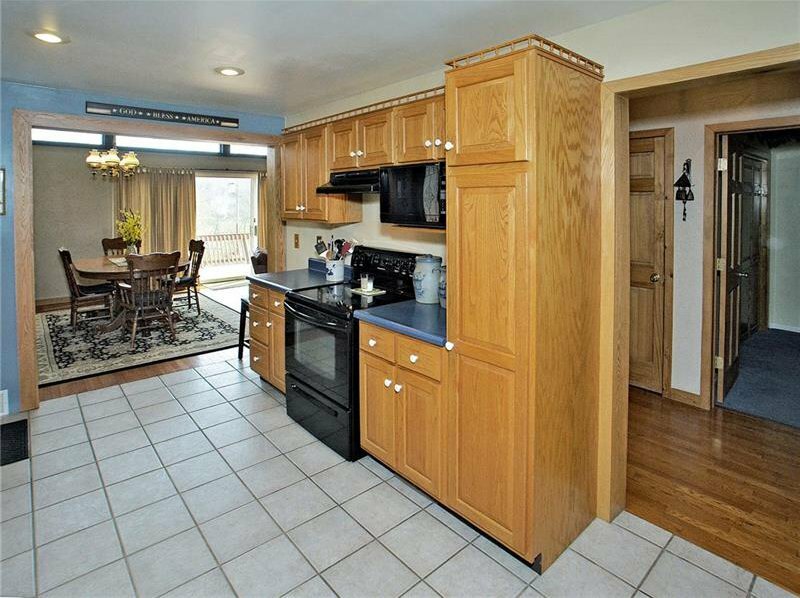 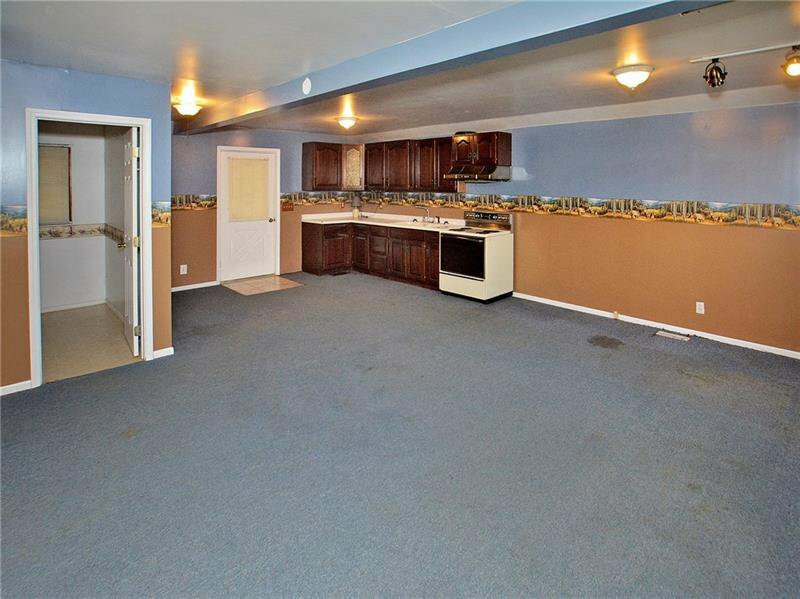 THE KITCHEN HAS BEEN UPDATED AND OFFERS NEW STAINLESS STEEL APPLIANCES AND A WALK-IN PANTRY WITH TONS OF STORAGE. 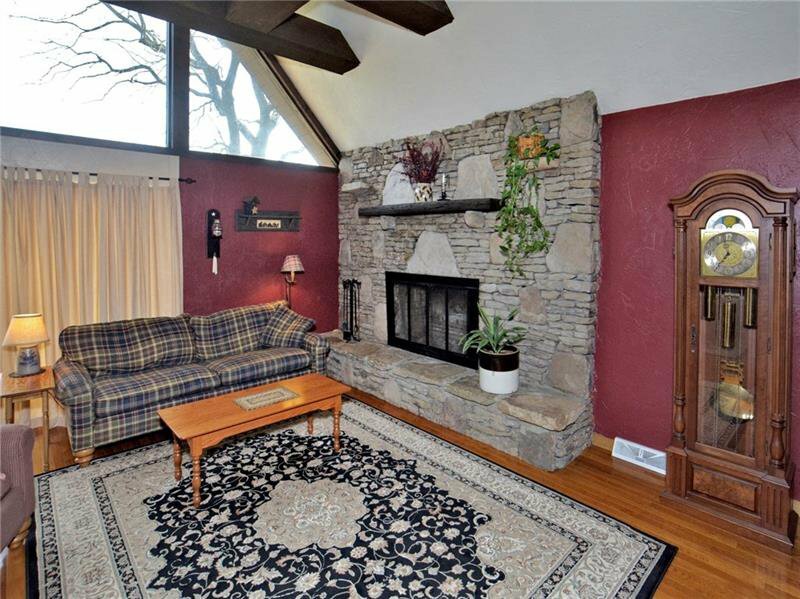 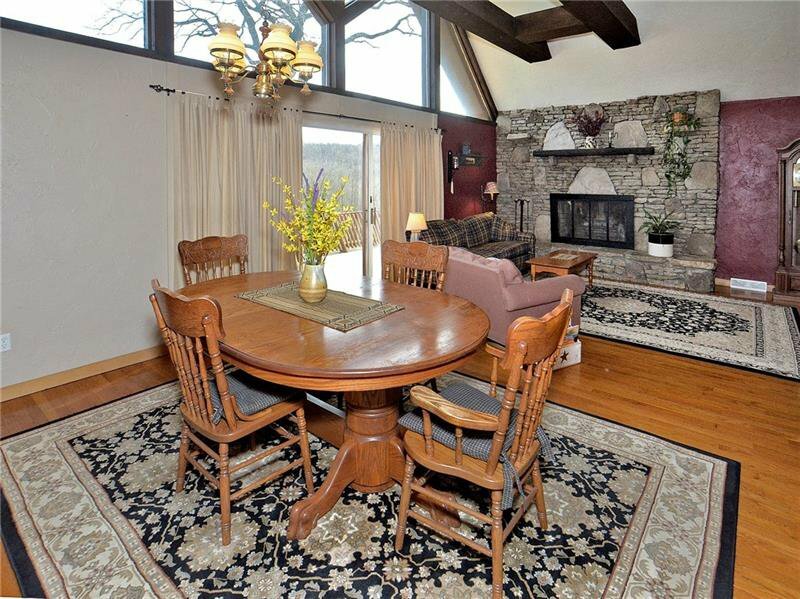 THE LIVING ROOM FOCUSES ON A STONE FIREPLACE, WOOD BEAMS AND OPENS TO A WRAPAROUND DECK, PERFECT FOR ENTERTAINING. 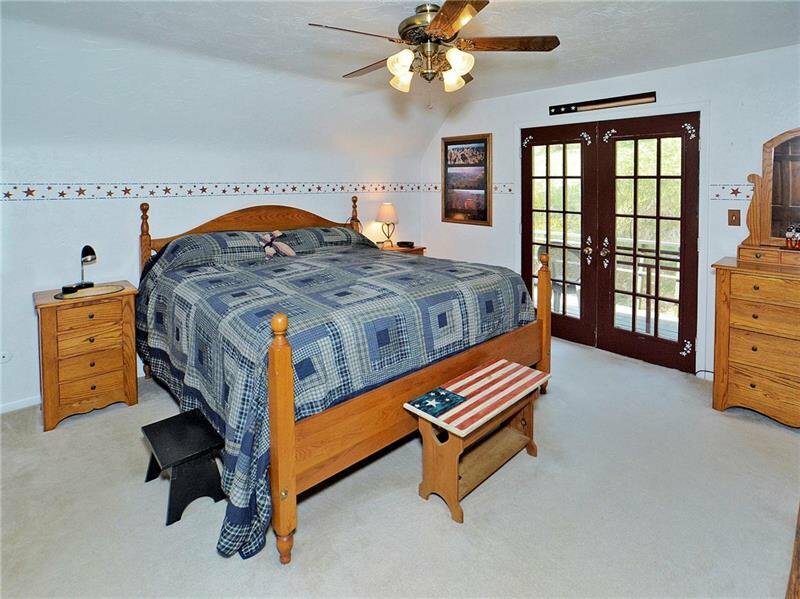 THE MASTER BEDROOM IS TUCKED AWAY IN A PRIVATE LOFT AND OFFERS A SECLUDED DECK FOR MORNING COFFEE, A WALK IN CLOSET AND AN EN-SUITE BATHROOM. 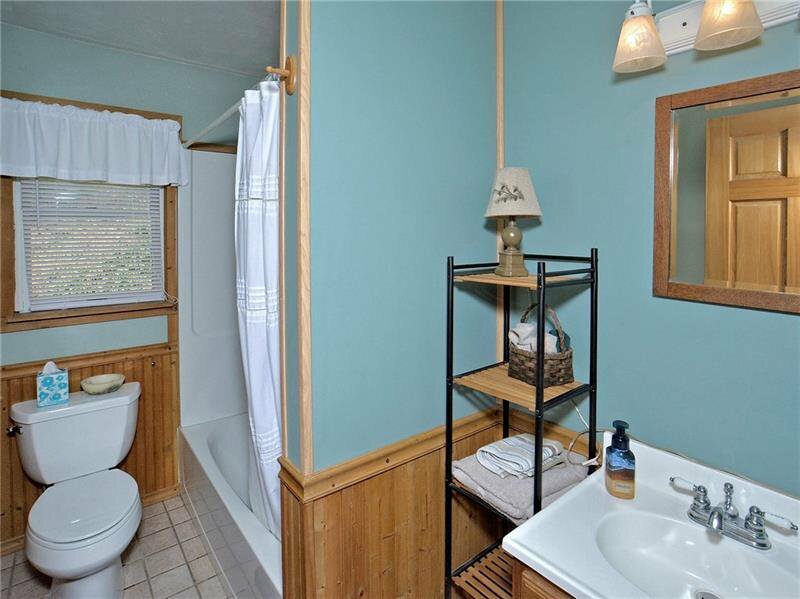 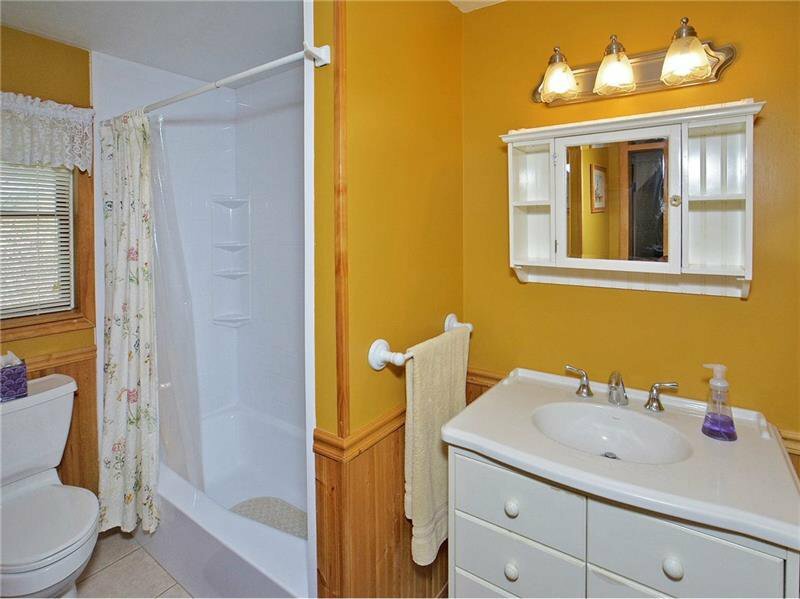 THERE IS A FULL BATH A BEDROOM ON THE MAIN LEVEL. 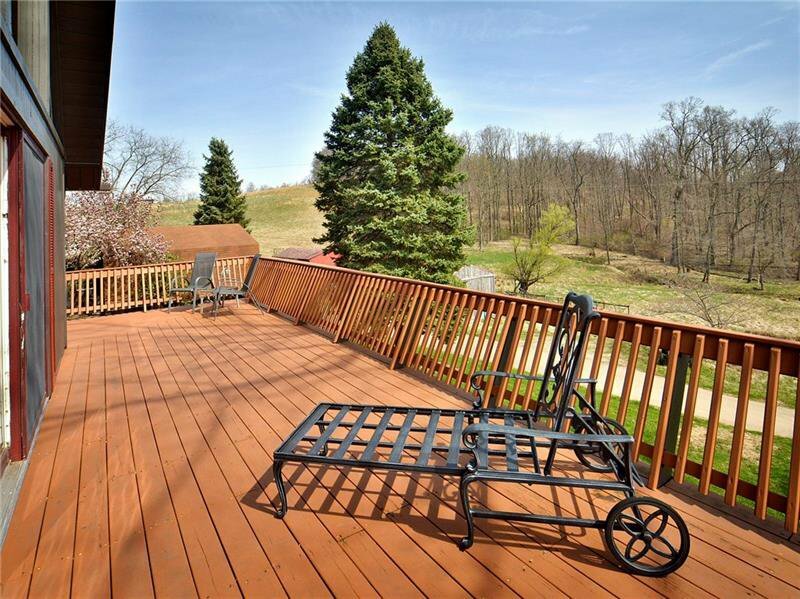 THE LOWER LEVEL OF THE HOME WALKS OUT TO A PATIO AND THEN TO THE EXPANSIVE PROPERTY. 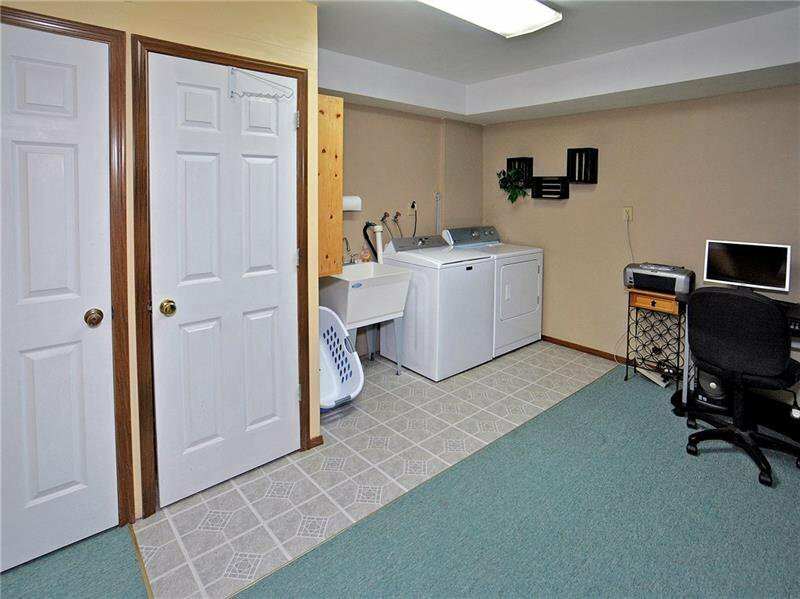 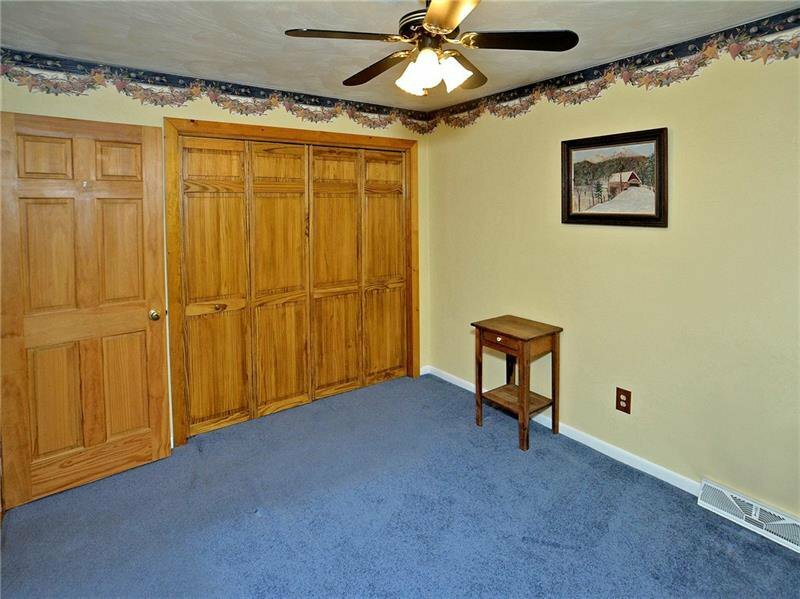 THE LOWER LEVEL LAUNDRY IS VERY LARGE AND PROVIDES AMPLE STORAGE AS WELL. 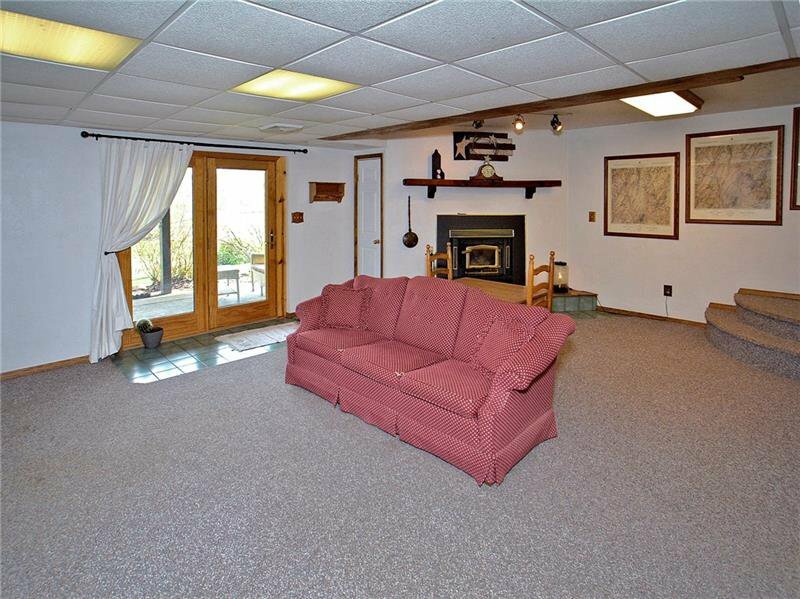 THE DETACHED GARAGE IS A GREAT WORKSHOP AND HAS A FINISHED FLEX SPACE ABOVE FOR AN OFFICE OR CRAFT ROOM. 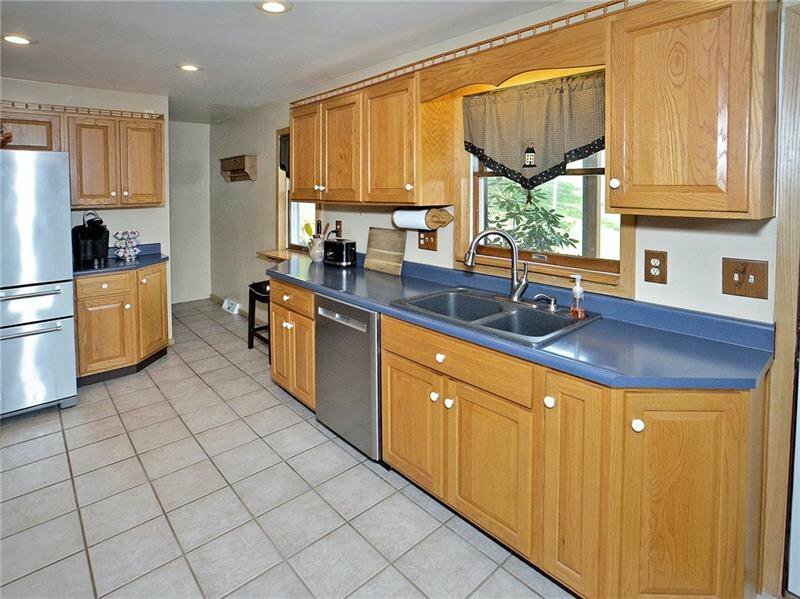 THIS HOME HAS BEEN METICULOUSLY CARED FOR AND IS MOVE IN READY!